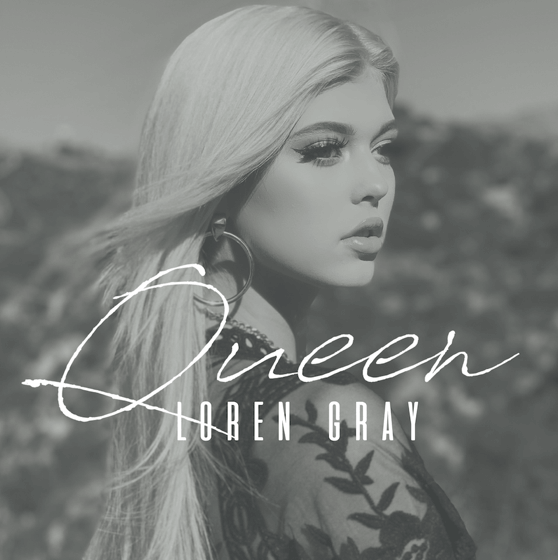 Self-made phenomenon Loren Gray released the video for her new single, “Queen,”today via Virgin Records. The video was shot in Los Angeles by director Ariel Lofaro. The empowering track – produced by Captain Cuts (Walk the Moon, Halsey, The Chainsmokers) – underscores the importance of knowing your worth in all the different types of relationships you have in life, including your relationship with yourself. “Queen” follows the single “Kick You Out,” which has earned more than one million streams globally since its release in November. Idolator praised the track as a “feisty bop.” Billboard noted, “The song’s contrasting vibe effortlessly shows the true highs and lows that come from being in love.” Loren wrote the treatment for the official video, which was directed by Jake Wilson. Loren has been obsessed with music her entire life. Growing up in the Philadelphia area, she began playing piano at a young age and spent her childhood listening to everything from classic rock and country to heavy metal and hip-hop. At 15, she uprooted herself and moved to Los Angeles to pursue a career in music. After cutting six records as an independent artist, Loren landed a deal with Virgin Records in early 2018. In August, she released “My Story,” which debuted at #1 on the Spotify Global Viral Chart and has racked up more than 15 million streams. Loren is currently at work on her debut EP.